The BASS MULTIAMP S is dedicated to all the bassists who like to play in stereo mode, like our top-artists Jeff Berlin, Alain Caron, Richard Bona, Michael Manring. The BASS MULTIAMP S can be used for stereo applications with 500W@4ohm of power for each channel (2x300W@8ohm) with bi- amp option, or mono bridge mode with a power of 1000W@8ohm! Like the mono version, bassist have a wide range of virtual bass amps, both modern and vintage, speaker cabs and microphones, studio and stompbox effects, and powerful amps... in a practical rack mountable unit! 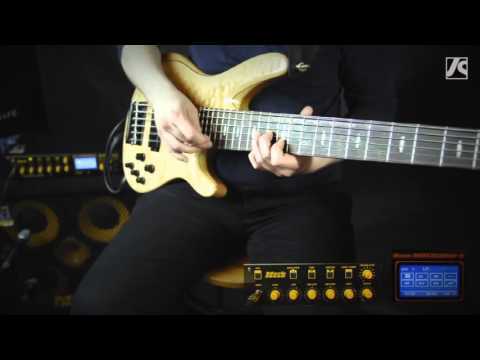 The BASS MULTIAMP S features a very easy to use interface like the guitar Multiamp. More than 300 factory presets: 105 for LIVE MONO, 105 for LIVE STEREO and 105 for P.A. banks! It is also equipped with an electronic crossover which allows you to play in bi-amp mode, splitting the frequencies in two dedicated channels (bass frequencies channnel and treble/midrange frequencies channel). New design for 2015 features a Master Volume on the front panel (Headphone Level control is now available at System menu), Patch Level control, new effects and new improvements as Comp Indication on the display, ultra reduced switching time between presets, Control Change Map with on/off assignable to each single effect... and more! The BASS MULTIAMP S is very user-friendly and incredibly flexible. You can easily store all of your favourite presets for live and/or studio recording. The Bass Multiamp Remote Control software, available for FREE DOWNLOAD at our website, allows to modify your presets parameters connecting your Bass Multiamp S to your computer via USB! With the optional MULTIAMP MIDI PEDALBOARD you can have a complete and easy control of your Bass Multiamp S; it provides Program Change and Control Change mode, plus allows to have access to Tuner and Tap Delay functions of the Multiamp, and to add an optional expression pedal.The MULTIAMP MIDI PEDALBOARD runs on a 9VDC phantom power from the Multiamp via MIDI cable. The BASS MULTIAMP S takes up two standard 19" rack units. Its rack ears are removable so it's perfectly portable and the MULTIAMP BAG (optional) allows you to transport your BASS MULTIAMP S in a knapsack and then keep the amp in the bag during use! Firstly you've to choose if you want use the Bass Multiamp S with one speaker in Bridge mode, or two speakers in STEREO mode. Go to the SYSTEM menu with the UP/DOWN buttons and press ENTER. Select amp mode with the UP/DOWN buttons and press ENTER. Select MONO/BRIDGE amp mode with the UP/DOWN buttons and press ENTER and then connect the cabinet to the speakon speaker output on the rear panel. Select STEREO with the UP/DOWN buttons and press ENTER. Connect the two speakers to the jack speakers outputs on the rear panel. At the bottom of the display will appear the selected mode. 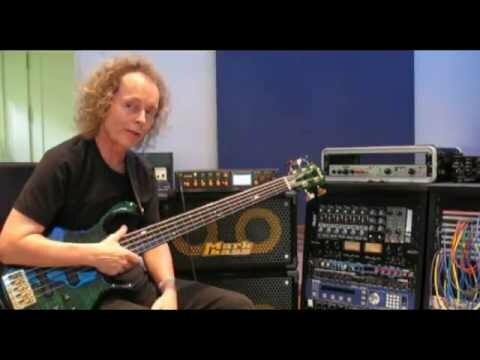 Michal Adamek - Bass Solo Chord Tapping.